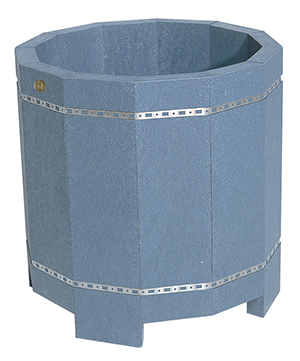 The KingseyTM Series was thought to seduce the sophisticated but its integrated structure makes it appropriate for the rigors of the urban life as well as for the ruggedness of the country. The stylishness of its curves and the depth of its alluring bench will delicately welcome you for your greatest pleasure. 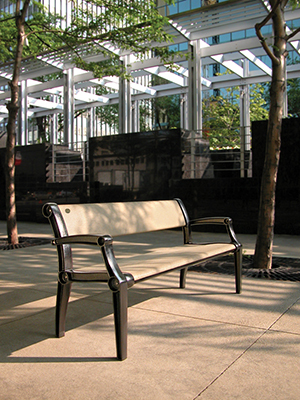 The CascadesTM Series has a contemporary streamlined design where the curves of the seat and back of its bench follow the natural lines of the human body for ultimate comfort. 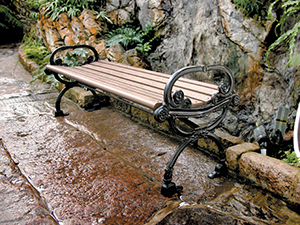 A powder coating cast metal trestle frame designed with craft and strength guarantees the stability and sturdiness of the design. 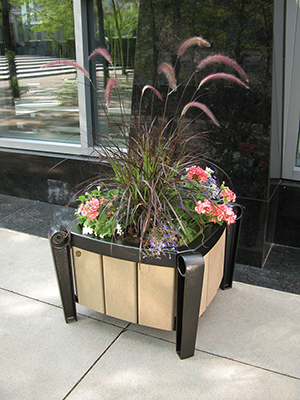 The dynamic outlook of the Cascades Series items will be remarkable in any urban setting. 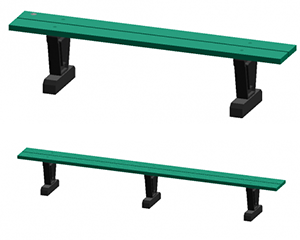 Bench with back 72" or 96"
Your Choice for Intensive ad extra heavy use. 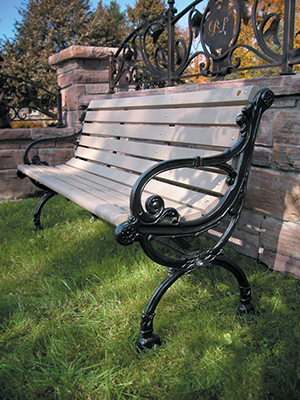 The Victorian Series adds style to the surrounding with its antique and romantic design combining the traditional styling of cast elements with the advanced performance of its plastic slats. The pattern of its frame evokes memories of the wrought iron ornaments of old English parks. 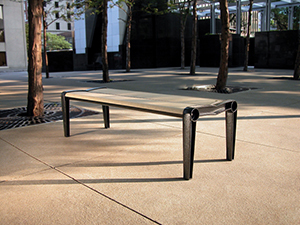 Bench with back 72" or 60"
The Contour Series is the choice for intensive and extra-heavy use, as the simple lines of its sober design are virtually sag-free and will show no warping even after heavy strain. 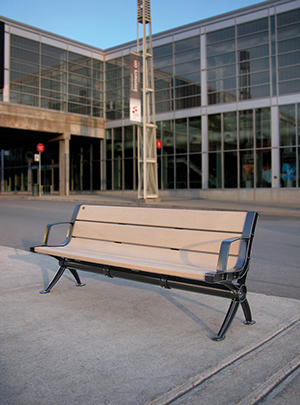 The benches of this series are available to be anchored in-ground or surface-mounted. 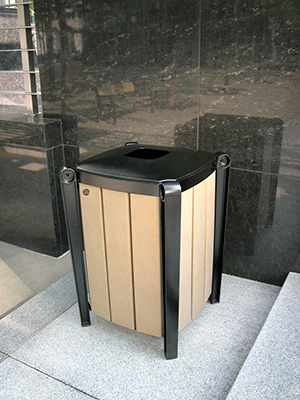 Bench in the following sizes: 48" / 60" / 72" / 96"
Square trash receptacle 21 5/8"
The Park Series combines both economy and durability. 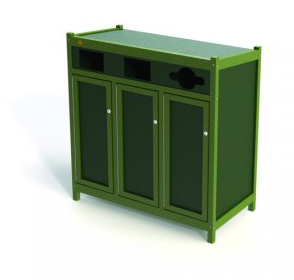 The practical furnishings of this series have a simple assembly of strong plastic slats over a tough frame that will endure the test, making them perfect for any high maintenance cost park or recreational site. 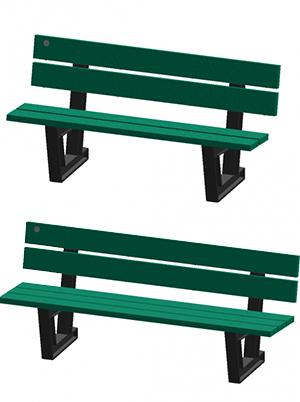 Bench in the following sizes: 60" / 72"
Structure and slats 100% ULTRAPLAST recycled plastic. Steel support available on certain models. 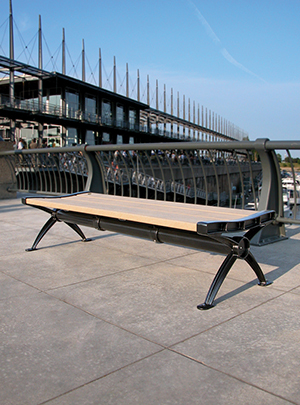 Bench in the following sizes: 60" / 72" / 120"
Structure and slats 100% ULTRAPLAST recycled plastic with iron reinforcement or steel support. 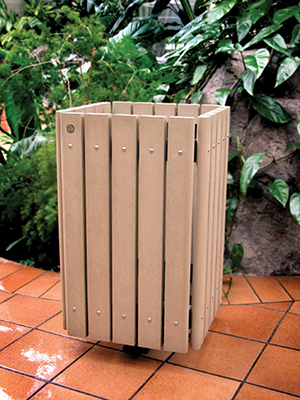 100% recycled plastic slats structure. 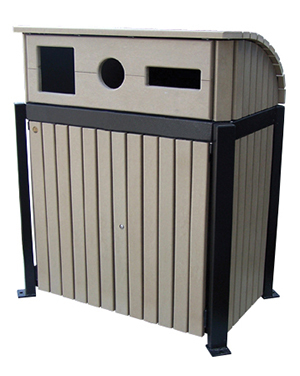 Triple recycling unit with tubular steel structure with 100% recycled plastic slats. 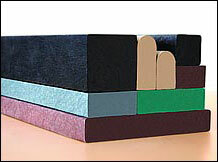 Structure and slat 100% recycled plastic. 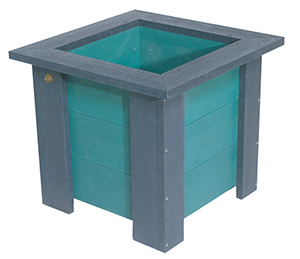 Flower Planter available in 14.5", 20" or 30.5"
EcoloTOP is made of recycled/recyclable plastic (HDPE) parts highly resistant to UV rays. Also composed of stainless steel and aluminium parts. Available with or without hole. ***Other colors available upon request. 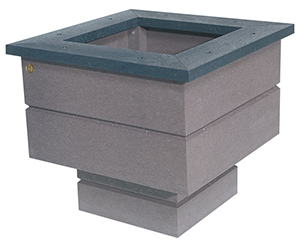 *Anchoring kits are available to fix benches to concrete pads. 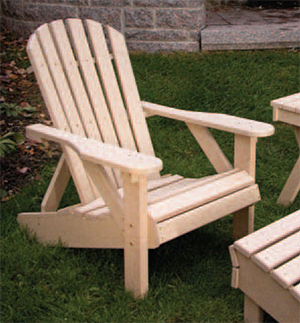 Our lumber can also be bought separately. 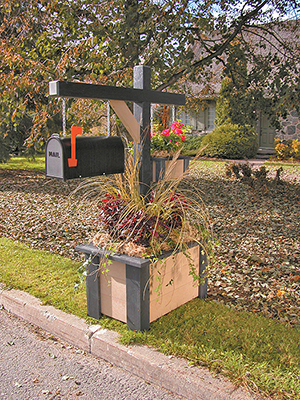 Environment protection is a core value and every one of our products provides tangible evidence that we are serious about it. 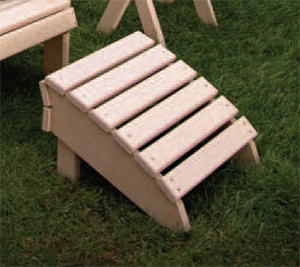 Each of the items is made from the 100% recycled plastic Re-Plast lumber developed by Cascades. 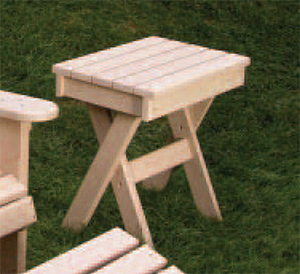 They combine durability and environmental friendliness to offer you a selection of alluring and comfortable site furnishings that will suit all your needs. 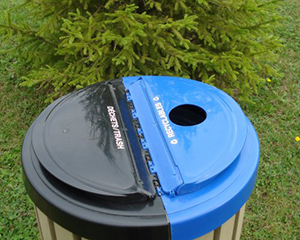 Re-Plast recycled plastic is federally approved and conforms to section 2.6.1, which governs construction materials for use in agri-food applications.